We can come weekly or on any schedule that works for you. Bring your ideas to life or let our landscape design bring nature to you. Natural looking rock or tiles, designs for every taste. Need Bark or Gravel to cover up bald areas? Your yard is an extension of your home and as such, is an extension of you. 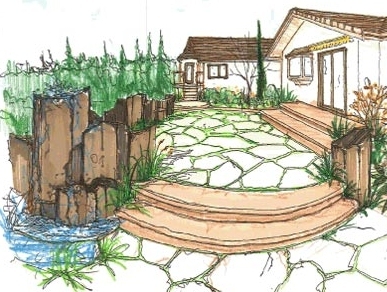 Landscaping design is an art, where multiple elements must come together to create a unified whole. Once the project is complete, a Tacoma landscaper must maintain those elements so the entirety of the design remains coherent. 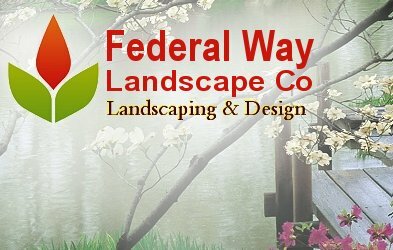 Federal Way Landsacape Co Landscaping and Design is a full service Tacoma Landscaping Company offering everything from design services to lawn mowing, and everything in between. Your qualified GPAK Tacoma landscaper will transform your ideas into a reality, while making your landscape the envy of your neighbors. Transforming an outdoor space into something truly magnificent starts with help from a professional Tacoma landscaper with regional experience. This is important because landscaping in the Pacific Northwest is far different than anywhere else in the country. Your landscaping design must reflect the advantages and limitations that a place like Tacoma and surrounding region offers, if it is to be successful. 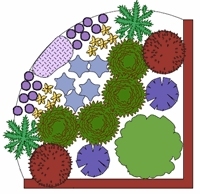 Your Tacoma landscaping design will blend various features, like a patio extension or stone walkway, with the shapes of colors of your organic elements. Your Tacoma landscaper will recommend ideas, based on their extensive experience, which will transform your landscape into something truly unique. Once a design is agree upon, GPAK will begin the work of putting everything together. Our landscape professionals in Tacoma will work diligently to finish the job in a timely manner, so that you're never left wondering how long the job will really take. Nothing is more frustrating than hiring a professional landscaper in Tacoma, only to have them miss appointments and fail to deliver on their promises. At GPAK in Tacoma, we maintain the highest standards of customer care so that you are never left wondering when your landscaper will show up. From brick walkways to patios and annuals to perennials, you will be able to watch your Tacoma landscape ideas come to life as we put every element together according to your design. Once your landscape is complete, you will be able to sit back and enjoy your quiet, personalized surroundings. We offer a complete line of Tacoma landscape maintenance options, so that you can keep your space looking good all year long. Whether you need your lawn aerated and seeded in the spring, regular summer lawn mowing, or just want a couple of flower boxes put together, a Tacoma landscaper from GPAK can accommodate your needs. If you lead a busy lifestyle in Tacoma, then you already know how hard it can be to keep up with the speed at which your grass grows. We offer Tacoma lawn maintenance contracts for a six months or a year, so that you always come home to a perfectly manicured yard that is edged, trimmed, and mowed. As part of our lawn maintenance options, your landscaper offers fertilizing, spraying, and a variety of other services that are essential for the Tacoma residents. As with our other landscaping services, your landscaper won't miss appointments and never make excuses. 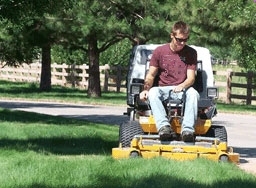 When you hire a landscaper from GPAK, you can rest assured that your lawn will always get the care attention it needs. Your Tacoma landscape specialist can tackle many jobs that other landscapers don't want to touch. Fall and storm cleanup may be necessary after Mother Nature does her dirty work, or perhaps your soil needs special care if it's nitrogen deficient or out of Ph balance. Many people in Tacoma have to deal with blackberry bushes that have grown out of control, and sometimes it seems that no matter how hard you try to get rid of them they just keep coming back. Your GPAK Tacoma landscaper will clear your unwanted blackberry bushes so that you don't have to deal with the hassle. If your situation warrants some other Tacoma specialized landscaping, call us and talk to one of our landscape specialists and find out if we can put our knowledge and experience to work for you. Do you need a Tacoma landscaper to bring your ideas to life? Are you looking for a Tacoma landscaping company that you can trust to keep your yard looking great? Do you need some specialized Tacoma landscaping care? Call us today at (206) 854-2775	for all of your Tacoma landscaping needs. One of our Tacoma landscape specialists will be happy to assist you and answer all of your questions. 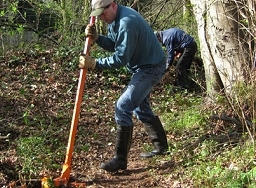 See above for a full list of the landscaping services we offer in Tacoma.